If you’re looking for an alternative to self-care remedies, traditional treatments, and surgery for heel pain, then consider platelet-rich plasma (PRP) therapy from Dr. Gary M. Kazmer, one of the best in Illinois. 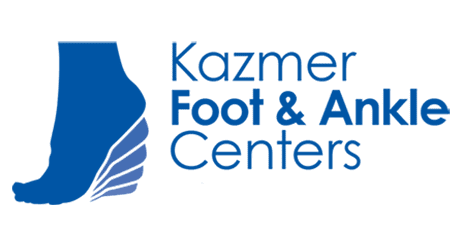 Make an appointment online or by phone with Kazmer Foot & Ankle Centers for a one-on-one consultation at the Barrington, Elgin, or Chicago office. "Now I can RUN again thanks Dr. Kazmer!" "The doctor was very patient, and made me feel confident that I was in good hands." "All throughout that he was pleasant and friendly." "I found Dr. Kazmer to be very friendly and knowledgeable about my condition. " "...got me in the very next day, the incoming staff was great and the Doctor was amazing"
"I've been going to see him for over a year now and couldn't ask for better treatment." "Dr. Kazmer is great. Fantastic care!" "Fantastic straight-forward DPM. First time visiting was a breeze." "Dr. Kazmer is a life saver. Five stars is simply not enough!" "Dr. Kazmer is absolutely the best! I've heard great things about him from my friend." Platelet-rich plasma (PRP) therapy is an injection treatment using your own platelet-fortified plasma to relieve pain and trigger healing in bones, tendons, ligaments, and joints. How does PRP differ from stem cell therapy? Both PRP therapy and stem cell therapy are innovative alternatives to surgery using injections of your body’s natural growth factors to stimulate a natural healing process, but while PRP therapy can sometimes attract your body’s stem cells for assistance, the PRP injections don’t contain stem cells. Because stem cells are far more powerful and versatile than platelet cells, Dr. Kazmer advises stem cell therapy for more severe conditions. However, sometimes he combines it with PRP therapy to optimize results. The source of growth factors also differs: PRP therapy involves harvesting them from your blood, while stem cell therapy requires collecting them from your bone marrow or fat. How does PRP therapy treat heel pain? Platelets are cells in your blood crucial to forming clots to stop bleeding and are effective in healing a variety of injuries. To harvest platelets for PRP therapy, Dr. Kazmer begins by drawing blood from your arm or leg. He then spins the blood in a centrifuge to separate and remove the red blood cells from the platelet-rich plasma (PRP). Next, Dr. Kazmer injects the PRP into your heel. This boosts your body’s healing process in the area because the injection contains a much higher concentration of growth factors than normally occur in your body. The entire service usually takes no more than two hours. What is PRP therapy recovery like? You may experience minor discomfort at the injection site for a few days but heal enough to safely resume your daily activities within a week or two. Dr. Kazmer sometimes recommends additional injections in follow-up visits. Call or book an appointment online today to see if PRP therapy is right for you. We accept most major insurance plans. This is a short-list of just some of the plans we accept. Please contact our office if you do not see your insurance provider listed. "Dr. Gary Kazmer is the best Podiatrist I have ever seen!!!!" "My daughter and I have had great experiences with Dr. Kazmer after injuries to our ankles. His staff is terrific and he always followed up..."
"Dr. Kazmer and his staff are very helpful." "Dr. Kazmer has been very patient with me and is always friendly and professional. He has fixed numerous problems I've had and I would recommend him to anyone..."
"Dr. Kazmer removed excess bone from a major foot joint. The surgery was excellent and surprisingly pain free." "I saw Dr. Kazmer for my left foot and had the best experience! I had to have surgery on my foot and the entire experience was stupendous." "Dr. Kazmer is great. Fantastic care! From consultation to treatment discussions and follow up, I knew I was in the right place." "Great experience! Dr. Kazmer is very professional and knowledgeable. Great staff too. Highly recommend this office." "Dr. Kazmer listened to my problem and took his time. He was able to inject my bunion that same day and I have been pain free ever since." "I just had an appointment with Dr. Kazmer and it was excellent! He was on time, professional, and he fixed my issue. Could not be happier!!!"